2003 Is almost an exact copy of 2002. Phil Taylor is supreme and wins for the second year in a row beating the number two in the world, John Part in the final. 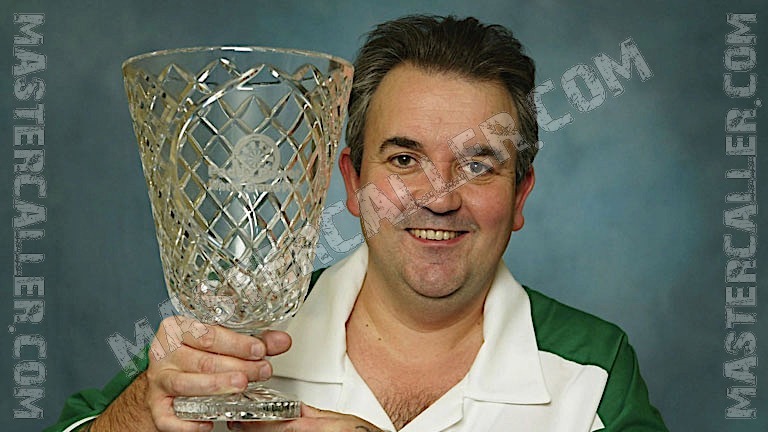 Roland Scholten continues to do well in Ireland; he reaches the 2003 semi-finals after defeating John Lowe, Denis Ovens and Colin Lloyd successively. In the semi-finals, however he loses to Phil Taylor. Peter Manley also feels very much at home at this tournament. Double in, double out suits him very well, but he will had to settle for an exit in the semi-finals for the fourth time in history. What stands out this year is that only one ranked player does not reach the second round. Ronnie Baxter loses his first match to Kevin Painter. Painter is also the only non-seeded player in the quarterfinals. It is the second time, after 1999, in history that the semi-final line-up is filled with the numbers one through four of the seeding list.